Fans of the PC/Playstation 1 platforming classic Oddworld: Abe’s Oddysee should be thrilled with the newly released pre-alpha gameplay footage which shows off the HD remake that’s due for release in 2013 by developers Just Add Water and Oddworld Inhabitants Inc.
Oddworld: Abe’s Oddysee New N’ Tasty! is currently in development for both the 360 and PS3 consoles and comes with a brand new graphics engine and updated animations. The video shows some incredible lighting effects which perfectly captures the gloomy setting of the original. In stark contrast to the settings is the loveable Abe and humurous noticeboards scattered throughout the background of the levels. To the uninitiated, the pace of the game may seem a little bit sluggish, but back in the day Abe’s Oddysee was highly praised for it’s innovative platforming gameplay and challenging learning curve which hopefully hasn’t diminished over time. Although since then the platforming genre has received both a slide into obscurity, followed by a resurgence of interest thanks to indie titles like Limbo and Braid. So hopefully there will be a willing audience outside of those who enjoyed the original all those years ago. For someone who played it almost non-stop when I was younger, the demo gave me repeated bouts of déjà vu. It’s note for note an identical to the original, right down to the dry humour of the noticeboards in the background. Abe’s Oddysee New N’ Tasty! is due out for Xbox 360, PS3, PC and PS Vita in August 2013. 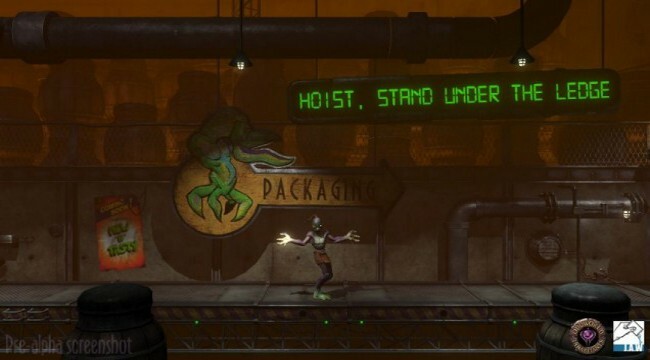 After which, the sequels Oddworld: Abe’s Exoddus and Oddworld: Munch’s Oddysee will also be given the HD remake treatment.